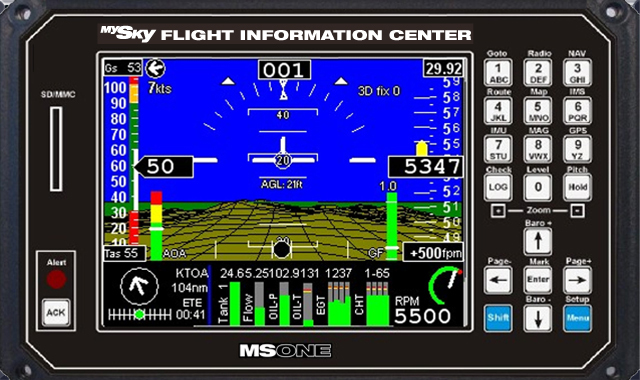 The MSONE FIC 1 replaces all traditional flight and navigation instruments with one single LCD screen which holds all theinformation needed to control the airplane and it’s engine. It incorporates a GPS system with moving map and terrain depiction which will make navigation much easier and more precise than ever in a small plane. There are many other functions, i.e. a G-meter and constant logging of all flight and engine parameters to an SD-card.